Offers: Discounts for Juniors, Twilight & Winter green fees plus discounts for groups of 12 or more golfers. Contact professional shop for details. West Malling Golf Club set in the heart of the Kent countryside with incomparable views of the North Downs. 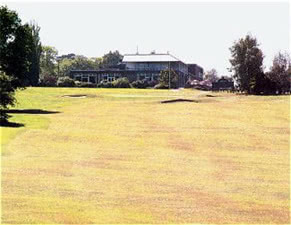 With two excellent par 70 courses, both over 6,000 yards off the medal tees and aptly named SPITFIRE and HURRICANE after the famed wartime machines that dominated the skies over Kent, visitors will find either contribute to an unforgettable day as each offers a fair, but differing challenge, with water features proving added hazard on both courses. Played the spitfire course. It was a freebie so won't be too negative but still worthy of a honest review. Clubhouse and food superb, didn't use the practice facilities. Course in poor condition, lack of signage and lots of holes appeared to be shoe-horned in. At times, greens in very close proximity to each other and tee boxes. Shouting fore cannot be overused! Won't be back I'm afraid, big room for improvement. Green fee seems expensive for what's on offer. All very friendly in the clubhouse though. Hurricane Course - Tricky greens but not a very interesting short course, I'm told Spitfire course much better so like to give that a try. Parkland type course in good condition, the Hurricane course is relatively flat, with a few testing 3 par holes. Played as part of a society and was dissappointed with the course. Some interesting holes with water hazards and elevated greens/tees, but others rather featureless. The short par 3 3rd that plays accross the 2nd green is evidence that the course isnt particularly well laid out and feels like it was squash to fit the 18 holes in. The tees were fine and the fairways dry, however there was no distinction between fairway and rough and the greens were very poor. The greens that were in play were very bumpy and caused deviations in the speed and line of a putt that made putting very difficult and often frustrating. The temporary green was fairway that had not been cut in anyway and was poor. I played both course, the Spitfire and Hurricane, but I'm not sure I saw either course at its best. The Hurricane is the shorter of the two courses, and tee shots are mainly positional rather than just hammering it as far as you can. You cross the road from holes 8 to 13, and here it's a little more open. There are some nice holes, but it's not a course I'd rush back to. The Spitfire is the better of the two courses. It's a fair bit longer and there are some tough par 4's here, but they're a lot more interesting too. The par 4 14th (I think) requires a decent tee shot, and then is all uphill to a hidden green. Both courses seem to be struggling to cope with the never ending winter though, and the greens are probably the worst ones I've played this year by far. Sanded and hollow tined, and a turf that frequently moved under your feet as you walked, it was almost impossible to guess which way the ball was going to hop after you'd putted it. I imagine that in drier weather this is a decent day's golf though. The clubhouse is really nice and there are some great views to be had. With greens as iffy as the ones I've just played, I'm not sure I got full value for my day ticket.